“Let’s go to the mall!” brightens mostly anyone’s day, and not only because of that special outfit or shoes you wanted to buy. A stellar shopping experience plays an important role in picking where to shop. More often than not, the price is not the only deciding factor. Sure, getting the price right is important in the marketing mix, and many shoppers tolerate a long line to save five or ten bucks. But what happens if your competition has a similar product at similar pricing, even if just for a short period of time? They’ll potentially win over your customer base with a better shopping experience. And then what? Catch up with an equally good shopping experience all you want, you’ll wait a while to get back to where you once were. Then, you’re left with reducing the price point further, which can’t be in your best interest. This dreadful scenario can easily be avoided by providing a great shopping experience in the first place. Be the title of this text as it may, by no means are we saying in-store technology is the only way to accomplish that. But if you’re looking for that extra spark to make your store shine brighter, you’ve come to the right place! Following, you’ll learn about some of the beneficial goals in-store technology like digital signage can help you achieve in your retail business. A long line at checkout is enough to make anyone sigh. Several less-moving lines are enough to make you want to drop your items and leave. We’ve all been there, and for choosing between two places to shop, the image of long checkout lines is a major swaying factor. Long lines, if taken as a good sign, often mean the store offers quality items people want. However, long lines are still not desirable and you shouldn’t just shrug them away by saying there’s nothing you can’t do about them. Introducing the self-service aspect to the retail experience can contribute plenty. A self-service kiosk lowers the strain on checkout registers, shortens all other queues and allows customers with few items to get their shopping done faster and just as easy. Although self-service is not new in the retail world, it hasn't by any means replaced traditional checkouts. Still, as self-service grows in popularity and more people try the self-service approach, they learn of its convenience and use such checkouts more often. 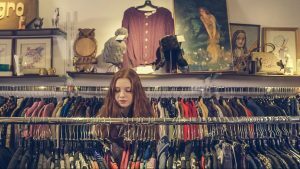 As big as your store may be, it’s not a magical wardrobe, and there are only so many items available. Items or sizes go out-of-stock, unpopular items retire and new items and brands arrive. But with the speed of knowledge the internet provides, the demand for an item may arise even before sufficient supply arrives. Ordering out-of-stock items is a unique and very appealing feature you can grant customers. Gone are the days of simply shrugging at a customer asking for an out-of-stock item. Now, you can do something about it! Additionally, allowing the customer to see which items are unavailable but will arrive soon, increases the chances they’ll not only come back, but also make the purchase. Sure, a customer may not like anything they see in your store, but out of your entire product range, surely something will attract their attention. Customers are growing more spoiled by the day, so learn how to keep up with the spoil-fest! Take a look at companies like Apple for inspiration. Their stores are designed for the tech-savvy consumer who navigates the tech-store with ease. Not only that, their consumer base is very in tune with the online and tech world, thus it stands to reason they’d be greeted with familiar surroundings in an Apple store. The modern consumer wants interactivity, touch-screens, Wi-Fi and online shopping. In-store technology is an excellent tool to provide all these demands. The in-store experience can be boosted not only by self-service checkouts or free Wi-Fi, but also more advanced aspects like customizable items or product variations, which we shall discuss in a few paragraphs below. There are many hallmarks of a good retail business. Large crowds are one, but another are special promotions, sales or events! When someone says the word "sale!" you can't help but think of a big storefront sign, usually with a % sign under it. Still, organizing a special sale usually requires a lot of work to update all the product pricing and information. But that doesn’t have to be the case if digital signage comes in play. In-store technology like digital signage allows retailers to update their product information with ease, and if set up properly it can be even done automatically. Retailers can set special weekly discounts, or even adjust pricing automatically based on supply and demand. This efficient approach demands less work and brings quality offers to the consumer more frequently, ensuring a higher number of sales overall. Set up a 10% sale on days you frequently have lower foot traffic and forget about it. Your in-store technology will take care of the rest. The world of augmented reality can enhance the customer experience in unusual ways. Augmented reality was attributed with massive potential when it first picked up in popularity, but it was always perceived as something advanced, yet not amazing enough to make everyone want to use it in their business. Still, most people have at least heard of it, making it a novelty your customers will at least want to take a look at. Many cutting-edge retail brands are incorporating it in their stores, online or off. More specifically, augmented reality can take the preview factor to a whole new level. AR mirrors or apps allow users to see how a certain product will look on them. And they don't need to change into it! Personally, I don’t think augmented reality is a deal-breaker or -maker. That’s not its key benefit. The benefit of augmented reality in a retail store is elsewhere. Advanced in-store technology like this keeps the customer interested. Look, if a shirt looks ugly to you on an image or in your hands, it will likely look pretty ugly in a virtual mirror. Still, the ease of “trying it on” will ensure you try out plenty of products before deciding on a purchase. Thus, for the sake of comparison, without AR people might try out three, maybe four items and if they like none of them, they will simply leave. With AR, they can just swipe through dozens of them to “try them on” or even have the system pick out an item which matches them, and eventually find one they like. Is in-store technology in your future? In any business, when a new addition to the customer experience is typically met with a positive response, it is a certainty it will become a natural part of that business sector in the future. In-store technology has been around, and it continues to blossom. Digital signage can be perfectly used in many businesses. Yet, nowhere does it find a cozier home as it does in a retail store. These were some of the elements of what a retail store of the future might look like. We showed you how you can use in-store technology to achieve certain goals, too. 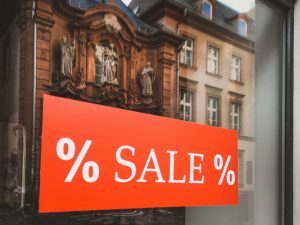 Be sure to learn more about how much of an impact digital signage itself can make on your retail store, and consider adopting it. If you haven’t already, you’re missing out, and we’re looking forward to you joining us in the 21st century! 5 Most Creative Outdoor Ads You’ve Ever Seen! Why Are Billboards Still So Powerful?